The Hindu Goddess Laksmi is the consort of the great God Vishnu. 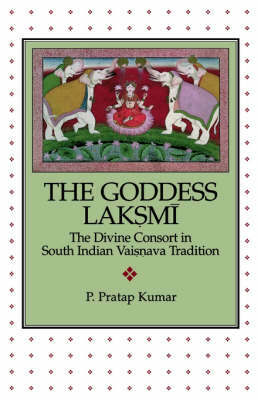 This book looks at the relationship between Laskmi and Vishnu in South Indian tradition. In some other sub-traditions, P. Pratap Kumar shows, the Goddess is seen as a mediator between devotees and God. Others put her on a par with her male counterpart. In yet other traditions she is worshiped as an independent deity in her own right. South Indian Vaisnavism views the Goddess in all of these ways, with the result that theological debates have flourished. Clarifying these debates and the assumptions behind them, Kumar contributes not only to our understanding of this particular tradition, but also to an understanding of gender issues in the study of religion.